Stars of Henry Danger will be appearing together at a convention for the first time at Comic Con Revolution in Ontario, California, later this month. 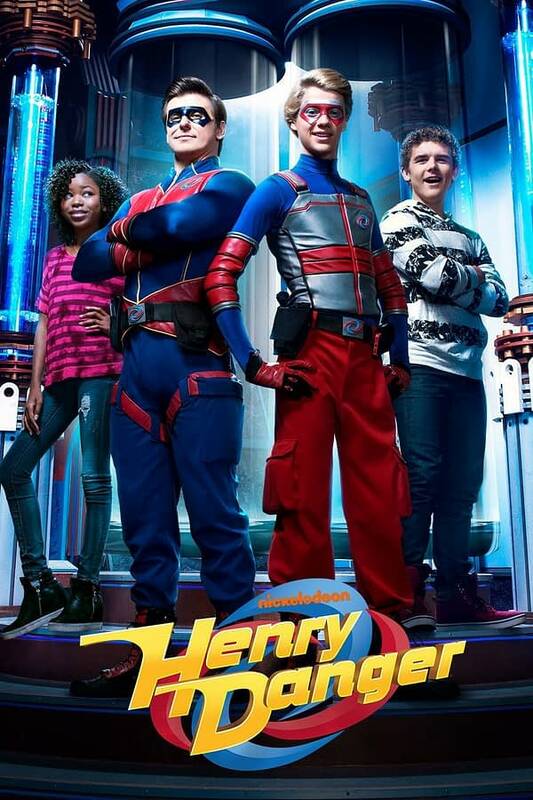 Jace Norman (Kid Danger), Cooper Barnes (Capitan Man) and Tommy Walker (Drex) will host a panel “Danger Is My Middle Name” on Sunday May 20th at 2 p.m. followed by a signing for fans of the show. Jace Norman, Kid Danger and his crime fighting partner for Cooper Barnes, Captain Man for the past four seasons on Henry Danger, will be sitting down for a discussion and Q&A with fans. Joining them is archenemy and Capitan Man’s former side kick, Drex, played by Tommy Walker. Together they will explore favorite episodes, moments, adventures and answer questions from fans during their panel, “Danger Is My Middle Name.” Jace, Cooper and Tommy will also host a signing immediately following the panel. Comic Con Revolution already lets kids 12 and under in free with a paid adult admission. And now, for and family with young kids local, it’s now become a saving grace. “Comic book conventions are a wonderland to me and I’m always exited to meet the fans and talk with them – can’t wait to see everybody there!” said Cooper Barnes. “I cannot wait to come to Ontario to meet everybody and chat all things comics, Daredevil, Henry Danger and Drex of course!” said Tommy Walker. Comic Con Revolution, the Inland Empire’s only comic convention, is expanding for the first time to two full days of programming, featuring over 160 Exhibitors and nearly 200 guests including Jason Aaron (Star Wars, Thor, Scalped), Greg Baldwin (Samurai Jack, Avatar: The Last Airbender), Ogie Banks (Ultimate Spider-Man), Joe Benitez (Lady Mechanika) Sandy King Carpenter (Film Producer & Comic Writer), Howard Chaykin (American Flagg!, Satellite Sam), Ming Chen (AMC’s Comic Book Men) Matthew Clark (Doom Patrol, Outsiders), Chris Claremont (Uncanny X-Men), Kevin Conroy (Batman: The Animated Series), Neo Edmund (Power Rangers), Susan Eisenberg (Justice League), Carols Ferro (Gears of War), Derek Dridolfs (Li’l Gotham, Batman: Arkham Unhinged), Steven Gordon (X-Men: Evolution), Travis Hanson (Life of the Party: Realities of an RPG’er), Ray-Anthony Height (X-Men Blue, Superb), Tom Hodges (Star Wars: The Clone Wars), Herb Jefferson Jr. (Battlestar Galactica), Scott Koblish (Deadpool, Excalibur), Jim Krueger (Universe X, Earth X), Mike Kunkel (Herobear and the Kid), Loren Lester (Batman: The Animated Series), Mike Mathew (Star Wars, She-Hulk), Jonboy Meyers (The Inhumans, Teen Titans), Todd Nauck (Young Justice, Teen Titans Go! ), Dustin Nguyen (Descender, DC Secret Hero Society), Fabian Nicieza (Deadpool & X-Force), Diane Pershing (Batman: The Animated Series – Voice of Poison Ivy), Andrea Romano, Stan Sakai (Usagi Yojimbo), Peter Shinkoda (Daredevil, Falling Skies), Cat Staggs (Wonder Woman, Smallville), Art Thibert (Ultimate Spider-Man, Trinity), Tommy Walker (Daredevil, Henry Danger), Marv Wolfman (Marvel’s Blade, New Teen Titans) and Timothy Zahn (Star Wars Novelist). Additional announcements will be made later. Star Wars Empire Strikes Back Mystery Minis Coming from Funko! Build-A-Bear Specials on Chewbacca and New Millennium Falcon for May 4th!